Ferdinando II de' Medici (14 July 1610 – 23 May 1670) was grand duke of Tuscany from 1621 to 1670. He was the eldest child of Cosimo II de' Medici and Maria Maddalena of Austria. His 49-year rule was punctuated by the beginning of Tuscany's long economic decline. He married Vittoria della Rovere, with whom he had two children: Cosimo III de' Medici, his eventual successor, and Francesco Maria de' Medici, Duke of Rovere and Montefeltro, a cardinal. Ferdinando was the eldest son of Cosimo II de' Medici, Grand Duke of Tuscany and Maria Maddalena of Austria. Cosimo II died when Ferdinando was 10; because he had not yet reached maturity, his mother and paternal grandmother, Christina of Lorraine, acted as joint regents. In his seventeenth year, Ferdinando embarked on a tour of Europe. One year later, his regency ended and his personal rule began. Dowager Grand Duchess Christina was the power behind the throne until her death in 1636. Ferdinand, like Christina before him, was a patron, ally, and friend of Galileo. Galileo dedicated his Dialogue Concerning the Two Chief World Systems to him. This work led to Galileo's second set of hearings before the Inquisition. Ferdinand attempted to keep Rome's concerns from leading to a full-fledged hearing and kept Galileo in Florence until December 1635, when the Roman Inquisitors finally threatened to bring Galileo to Rome in chains if he would not come voluntarily. Ferdinand's influence likely contributed to the lightness of Galileo's penalty after the court's conviction of the astronomer for "vehement suspicion of heresy;" and the devoutly Catholic Ferdinand welcomed Galileo back to Florence after the trial was over. The first calamity of Ferdinando’s reign was in 1630, when a plague swept through Florence and took 10% of the population with it. 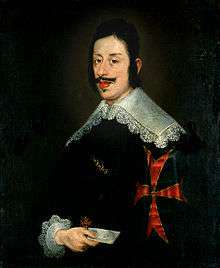 Unlike the Tuscan nobility, Ferdinando and his brothers stayed in the city to try to ameliorate the general suffering. His mother and grandmother arranged a marriage with Vittoria della Rovere, a granddaughter of the then incumbent Duke of Urbino, in 1634. Together they had two children: Cosimo, in 1642, and Francesco Maria de' Medici, in 1660. The latter was the fruit of a brief reconciliation, as after the birth of Cosimo, the two became estranged; Vittoria caught Ferdinando in bed with a page, Count Bruto della Molera. Grand Duke Ferdinando was obsessed with new technology, and had several hygrometers, barometers, thermometers, and telescopes installed in the Pitti. In 1654, influenced by Galileo, he is reported to have invented the sealed-glass thermometer, by sealing the glass tip of a tube filled to a certain height with colored alcohol. Small glass bubbles filled with air at varying pressures hovered trapped within the liquid, changing positions as the temperature rose or fell. Marked off with 360 divisions, like the gradations or "degrees" of a circle, this type of device was called a "spirit thermometer", because it was filled with "spirit of wine" (distilled alcohol) or a "Florentine thermometer" (Florence being the capital of Tuscany). 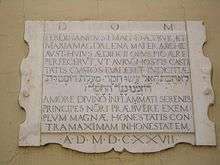 In 1657, Leopoldo de' Medici, the Grand Duke’s youngest brother, established the Accademia del Cimento. It was set up to attract scientists from all over Tuscany to Florence for mutual study. 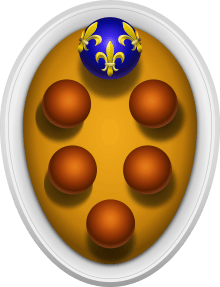 Tuscany participated in the Wars of Castro (the last time Medicean Tuscany was involved in a conflict) and inflicted a defeat on the forces of Urban VIII in 1643. The treasury was so empty that when the Castro mercenaries were paid for the state could no longer afford to pay interest on government bonds. The interest rate was lowered by 0.75%. The economy was so decrepit that barter trade became prevalent in rural market places. Ferdinando died on 23 May 1670 of apoplexy and dropsy. He was interred in the Basilica of San Lorenzo, the Medici's necropolis. At the time of his death, the population of the grand duchy was 730,594 souls; the streets were lined with grass and the buildings on the verge of collapse in Pisa. Francesco Maria (12 November 1660 – 3 February 1711), Duke of Rovere and Montefeltro, married to Eleonora Luisa Gonzaga, without issue. ↑ Bolton, Henry C. (1900). Evolution of the Thermometer, 1592-1743 (Ferdinand, pg. 33). Chemical Publishing Co.